Teen Callie awakes on a desolate beach and is met by a weird Renaissance Dutchman. He explains she’s in the landscape of her mind – a coma. “Perhaps, you’ll learn a new game to pass the time, ja?” he says. 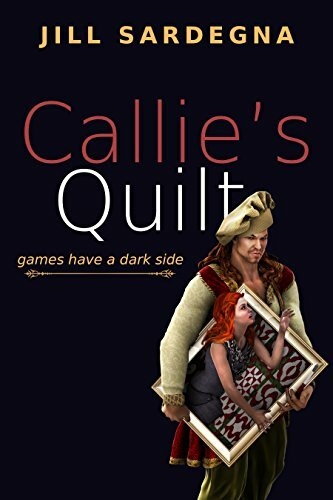 He tests her with dark, often hilarious tasks to complete, each based on crazy quilt squares her grandma is sewing for her. It’s a game of pirate ships, drunkard’s paths and deadly knights. Through tricks and turns Callie confronts hard truths about herself and uses her wits to survive. But the clock is ticking, life is slipping away, and she must complete the final deadly task to rejoin the living.